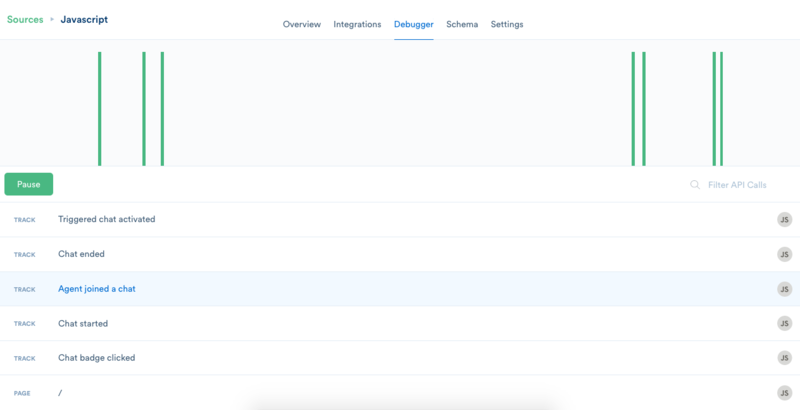 By integrating Segment with HappyFox Chat, you can track chat widget events like Chat window opened (by the visitor), Agent joined the Chat, Chat started, Offline Message sent and Proactive Triggered Chat. 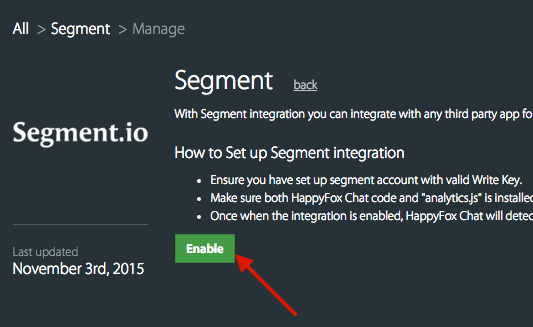 Only Admin has the access to integrate Segment with HappyFox Chat. 1. 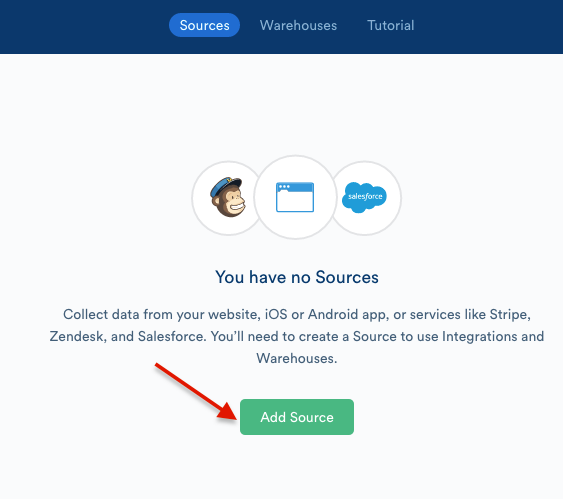 Login to your Segment account. 6. 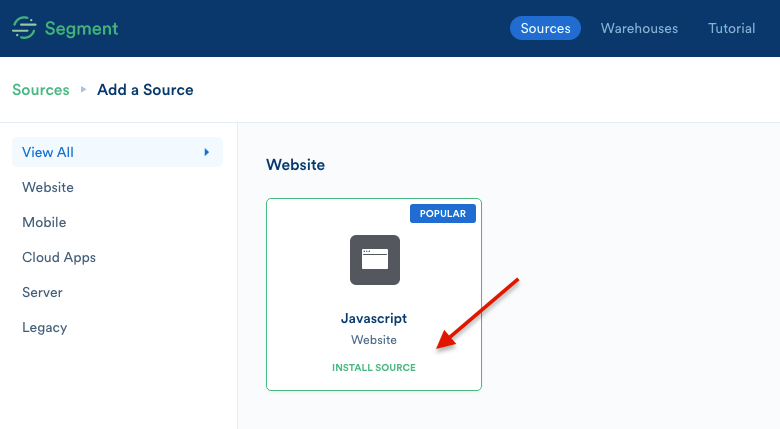 Click on view details on the tile to fetch and install the Analytics.js code. 8. 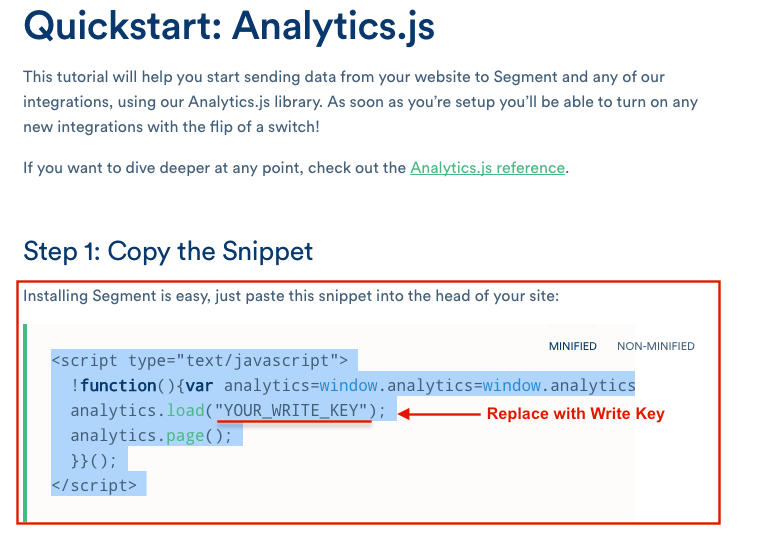 Copy the snippet (Analytics.js). Enter write key by replacing "You_Write_Key" in the code. 9. Paste the code above </body> tag on the website’s source code. 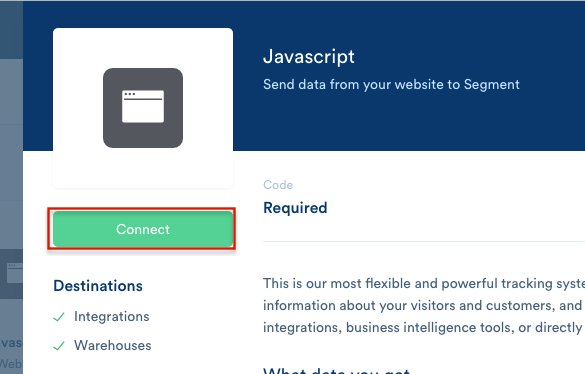 Step 2: Go to Apps → Segment. Step 3: Click TRY FOR 7 DAYS/INSTALL button. This integration is available on all paid plans. 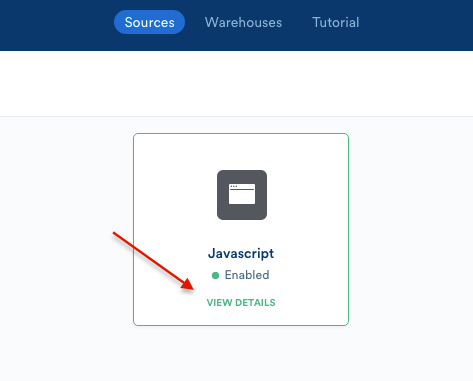 Step 4: Click Enable. You are all set! All being set, now Segment code will detect HappyFox Chat code automatically and logs chat related events to it. 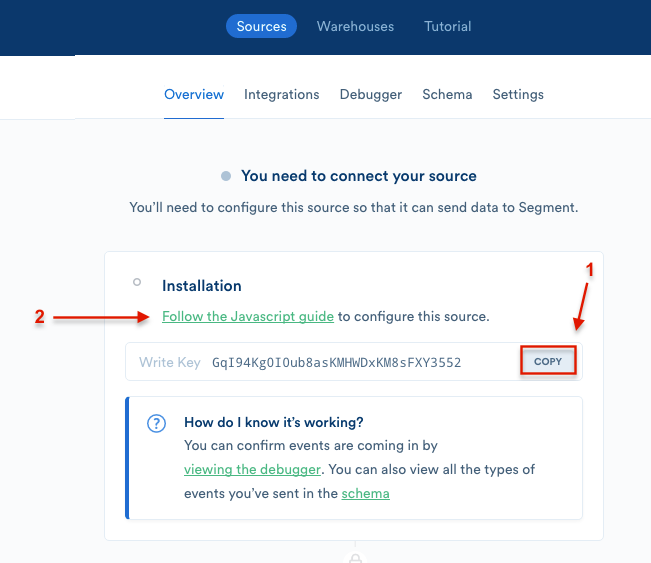 Go to Debugger and the following screens are displayed when the integration is successful.